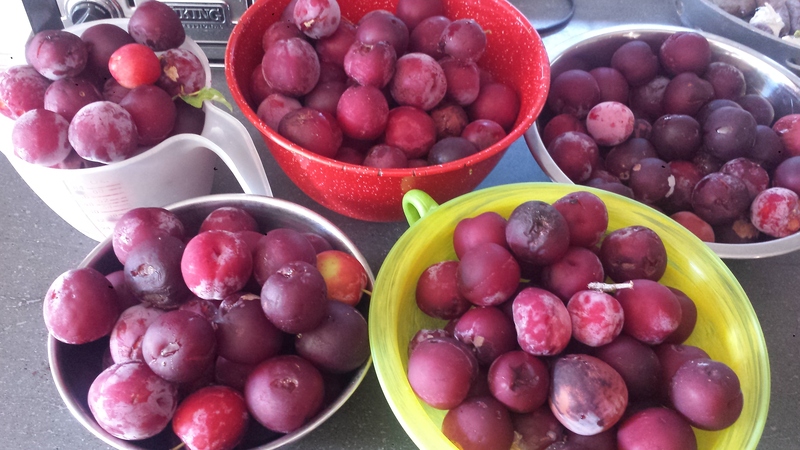 It’s plum season! I have a lovely Santa Rosa Plum tree that grows the most delicious plums that have that perfect balance of sweet and tart. I would have a hard time selling the house and moving because of this tree. One Arbor Day, almost 20 years ago, my very excited kids brought several sticks bare root fruit trees home from school. Now, I will have to admit that these ‘trees’ looked a lot like dead twigs to me, but as a good mother does, I along with my boys, ceremoniously planted them and thus began our now flourishing fruit orchard, home to plum, orange, lemon, lime, grapefruit, nectarine, cherry, kumquat, satsuma, avocado, Asian pear and several apple trees. The queen of the orchard though, is the Santa Rosa Plum tree, one of the unlikely Arbor Day trees which grew from a 3 foot bare root stick to a glorious 25 foot tall beauty. Last year I was out of town when the fruit was ripe, but this year I have picked the fruit that is in reach and have been collecting ripe fruit as it falls to the ground. Some of these get bruised or slightly injured when they fall which makes them less appetizing for eating but perfect for making jam. So I save the perfect, most ripe specimens for my fruit basket and preserve the rest. Homemade jam is wonderful to have around year around, I love it spread on toast or drizzled over plain yogurt for breakfast. 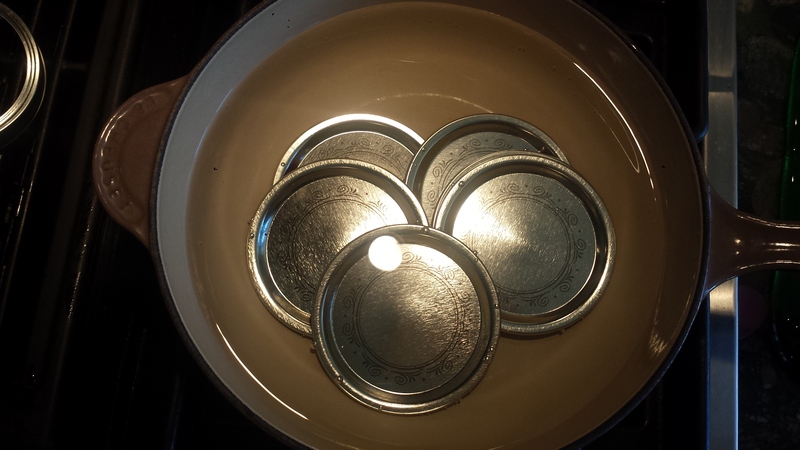 Place the empty canning jars in the canning pot and fill it with water to cover jars by several inches. Boil to sterilize and then remove the jars to a clean rack and let cool slightly (jars should remain hot so don’t take them out too soon). 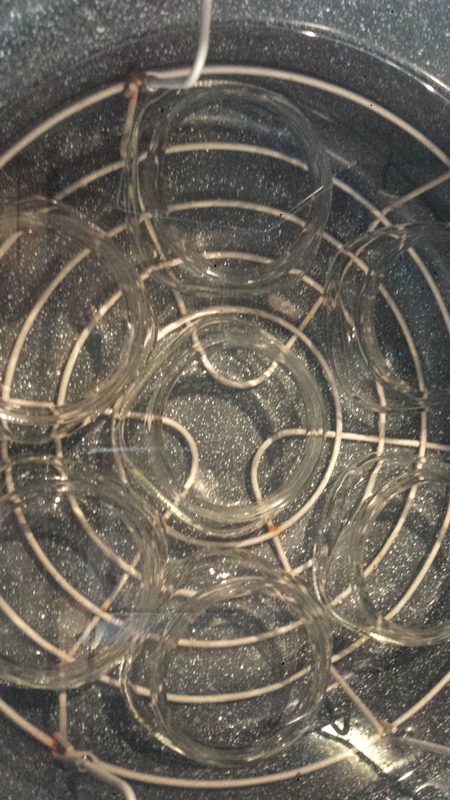 The lid bases (not the rings) should be heated for 10 minutes to sterilize and help achieve a vacuum seal. This is easiest done in a saucepan kept below a boil. OR throw them all into a food processor for an even texture. 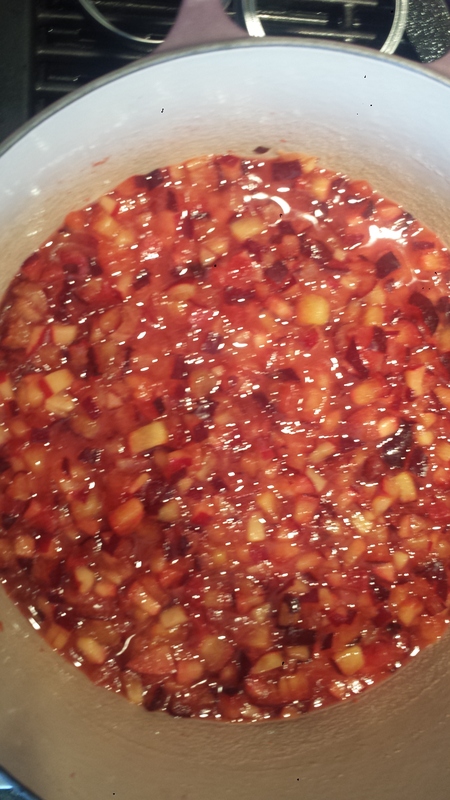 Keep the peels on as it gives the jam a lovely color and flavor. 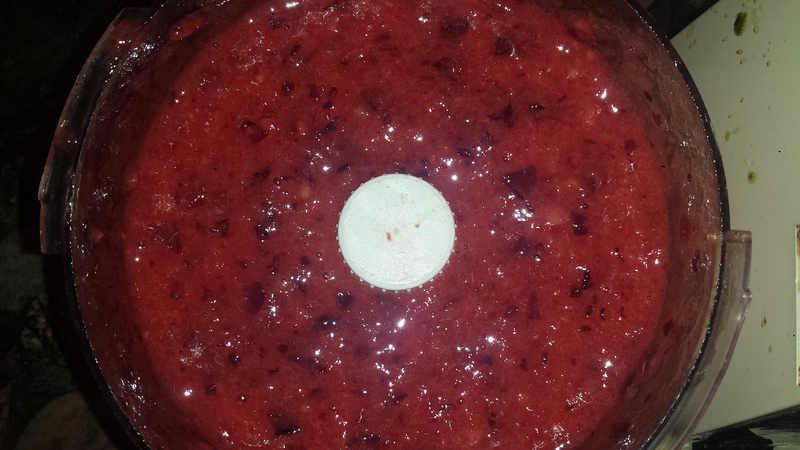 Combine plums, sugar and water in a large saucepan. Bring slowly to a boil stirring until the sugar dissolves. Continue cooking while the mixture thickens, stirring frequently. Test for proper gelling by dipping a spoon into the hot mixture and tipping it sideways. If the jam falls off the spoon in a sheet it is done. If it drips off the spoon, cook a little longer. 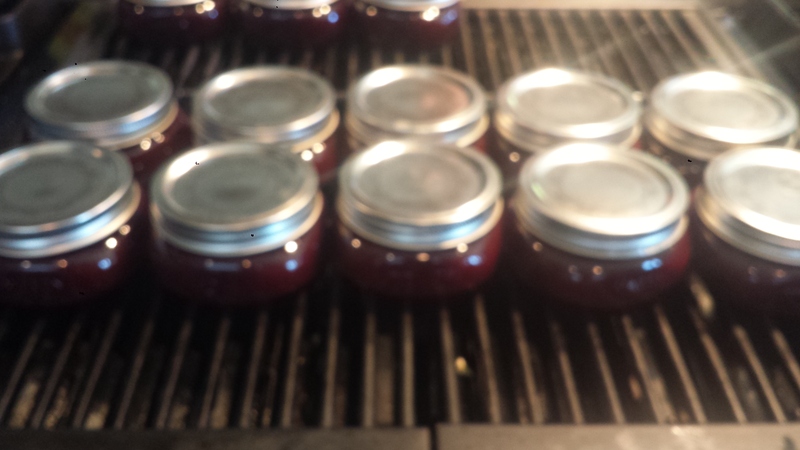 Ladle hot jam into hot jars, leaving a 1/4 inch headspace. 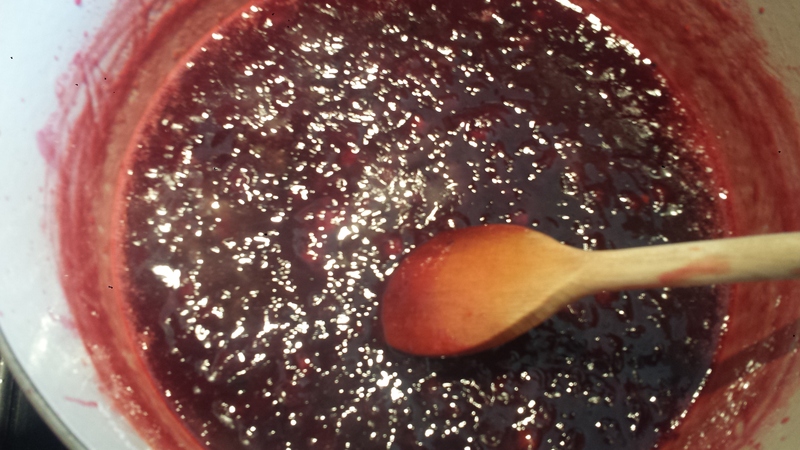 Remove any bubbles by running a non-metal spatula between the jar and the jam. Wipe the rim of the jars clean with a damp paper towel and place lid base on top then lid ring and tighten snugly (fingertip tip tight not as tight as you can make it). Remove from water using a jar lifter and let cool. You may hear a popping sound as the lids create a vacuum seal. To test the seal, after 12 to 24 hours after processing, press the center of the lid to see if it is concave. 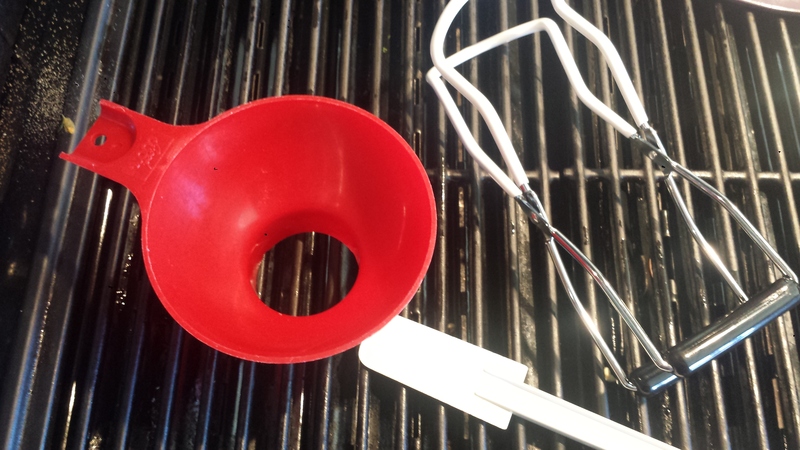 If you can’t tell for sure, remove outer band and gently try to lift the lid with a finger. If it resists, then you have a good vacuum seal. 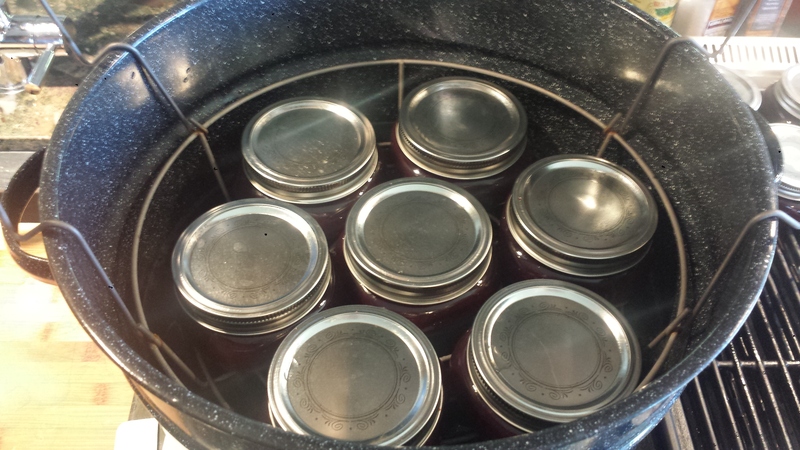 Jars may be stored at room temperature until opened, then must be stored in the refrigerator. Remove pits from plums, cut away any bad parts and chop by hand, OR throw them all into a food processor for an even texture. 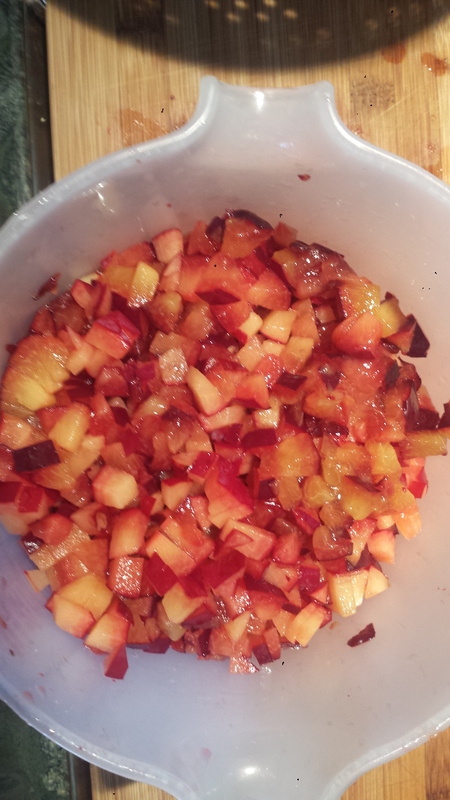 Keep the peels on as it gives the jam a lovely color and flavor. Remove from water and let cool. You may hear a popping sound as the lids create a vacuum seal. 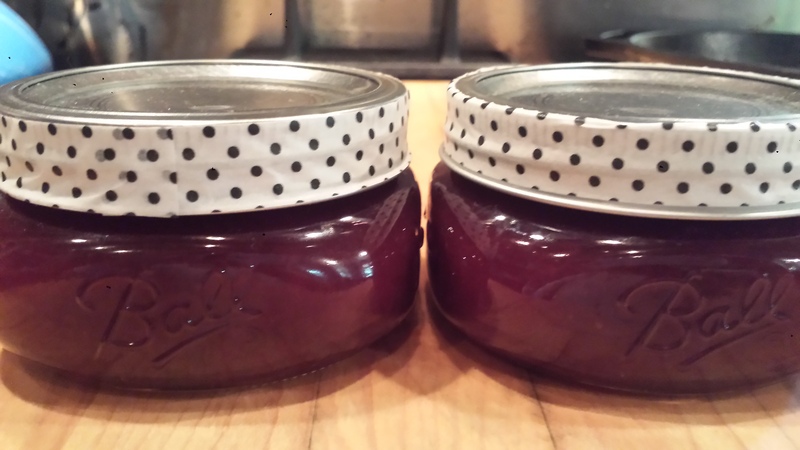 This entry was posted in All Recipes, Canning and Preserving/Gifts and tagged canning jam, gluten free, homemade jam, Homemade Plum Jam, how to can plum jam, how to make plum jam, plum jam, plums, Santa Rosa plums, Vegan, vegetarian, Wheat Free. Bookmark the permalink.